My mother-in-law, whom I affectionately call Mom, used to live in a bad neighborhood in Miami, Florida. It was what she could afford, so she made it home. In the summer of 2015, I asked her if she wanted her grandchildren for the summer. Her reply was simple and sincere, “Of course, but not while I am living here.” This is when serious discussions about her house began. 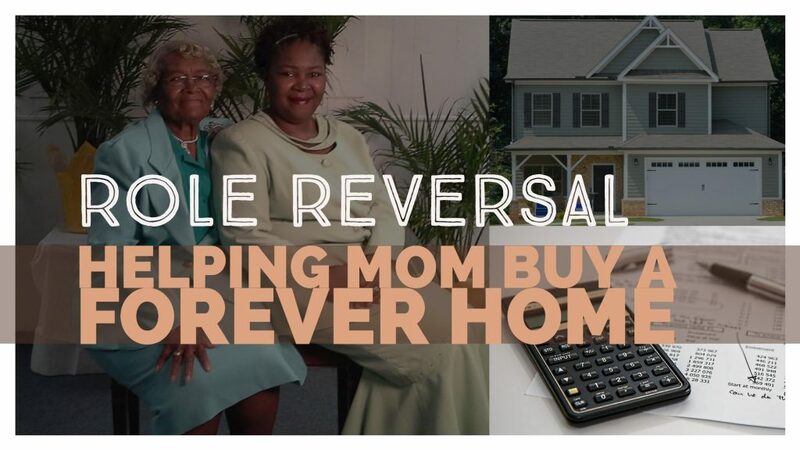 Although Mom could afford a mortgage with her current salary, she did not have the 20 percent of the purchase price for the down payment. Borrowing from her retirement was not an option. She is in her sixties and will need that money very soon for her retirement. Everyone agreed Mom needed a better place to live, but committing to help her purchase a new house was not an easy decision. At the time, my husband and I were also house hunting. I needed to make sure our emergency fund and the money for our down payment would remain intact if we helped Mom purchase a home. There were other factors that also concerned me. Buying a house involves more than just a down payment. It means paying more for utilities, a monthly homeowner’s association fee (in her case), and property taxes. More importantly, homes require repairs. All of these were expenses Mom did not currently have as a renter. I also did not know if our one-time contribution would turn into recurring support and how it would affect our household’s budget. As the one who handles my family’s finances, the first thing I did was review our budget and expenses. I determined my family could cut spending to save the money for Mom. When the family reconvened we agreed each sibling would contribute $5,000 to the down payment. We set a budget for the new house and started looking for a new home for Mom, one needing little to no repairs. As my family buckled down and cut our household spending, I also brought in a few extra dollars by making the most of my business travel. I did this by spending as little of my per diem as possible. What I did not spend to eat went to Mom’s fund. In the end, Mom secured the home loan and the kids contributed to closing and renovation costs. Buying her a home was the ultimate thank you gift for all the sacrifices she made for her children when they were young. She closed on her house just a few weeks before us, and my brothers-in-law did most of the home improvements, so it truly was a family effort. Mom was moved to tears by our gesture of love and continues to thank us often for this gift she never imagined we would provide. Mom is getting older. She is in her sixties and her ability to work twelve-hour shifts in hospitals is becoming difficult. She wants to retire in two years, but with less than $75,000 saved for retirement, I know she will need help paying for her expenses in retirement. That is why we have already had conversations about her projected income and expenses. The family has discussed who can contribute to help with her expenses and came up with a plan. Here are more tips to help you budget for your parents. I had a serious discussion with Mom about her finances. From that information, I was able to determine that Mom will need at least $2,000 a month once she retires. Fortunately, her largest expense — the mortgage — is a fixed monthly amount. Between four siblings, if each family chips in $500 a month for Mom’s major living expenses (house, utilities, HOA, phone,etc. ), she will have the money she needs in retirement. Then she can use her retirement funds for her personal expenses and Medicare insurance premium. In addition, Mom will receive Social Security income every month and has a small pension from a hospital she worked at for 10 years that will also supplement her retirement income. We have two years until Mom retires and we have an estimate of how much she needs monthly. The best thing to do is start saving our $500 a month now. If we incorporate this expense into our budget now, it won’t be a challenge to pay later. To prepare, I’ve added ‘saving for Mom’ to our household budget, setting aside as close to $500 a month as possible. As my husband and I receive raises and annual bonuses, we will put additional money in Mom’s fund. If by some miracle she never needs the money, that means more income for me and my family to invest in our long-term wealth goals. To financially support a parent is a great idea, but not always realistic. In such cases, the family needs to decide what costs can be eliminated to reduce expenses. Talk with your family about your parents moving in with you or another sibling during retirement. This would significantly reduce housing and food expenses since the parents and the family would share these expenses. Families can also designate who will be the caretaker for your parents as they age. A sibling that cannot contribute financially, can contribute time to care for Mom and Dad. This can be just as important as money. The best thing you can do if you are expected to care for a parent is to save for them. Also look into long-term care insurance because medical expenses are only increasing. You do not want all of you or your parent’s savings to be wiped out from medical care expenses. In budgeting for your parents, you should not go broke, notes Patti Lamberti. It’s important to find a realistic balance between saving for your parents and your financial goals. However it’s done in your family, you should have a group conversation, including your parents, about caring for your parents in retirement. You need to have visibility on where your parents stand financially so you can determine where gaps exist. Everyone should understand their roles and be comfortable with their contribution. Have you had to help out a parent before? Getting ready to help them make the transition? Leave a comment and tell the community about your experience. This was a great article. Welcome Acquania!